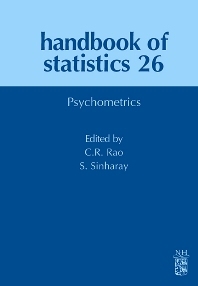 The area of Psychometrics, a field encompassing the statistical methods used in Psychological and educational testing, has become a very important and active area of research, evident from the large body of literature that has been developed in the form of books, volumes and research papers. Mainstream statisticians also have found profound interest in the field because of its unique nature. Sandip Sinharay, a research scientist in the Educational Testing Service (ETS), Princeton, NJ, is a recent winner of the Alicia Cascallar Award for an Outstanding Paper by an Early Career Scholar awarded by National Council on Measurement in Education. He has worked in numerous projects in ETS, including ones on National Assessment of Educational Progress, mostly on the application of Bayesian methods to educational testing. He presented in numerous conferences on Psychometrics and published papers in the leading journals in Psychometrics. Educational Testing Service, Princeton, U.S.A.